Matt Kelly and Nathan Courter Nile picked up three wickets each. The Melbourne Stars had the chance of qualifying for the semis in this edition’s Big Bash League (BBL) in their match against cellar dwellers Perth Scorchers. However, the Glenn Maxwell-captained team lost by 27 runs and it meant that they need to win one of their next two matches to qualify. Most importantly, Stars’ loss kept Brisbane Heat, Sydney Thunder and Adelaide Strikers alive in the T20 tournament. 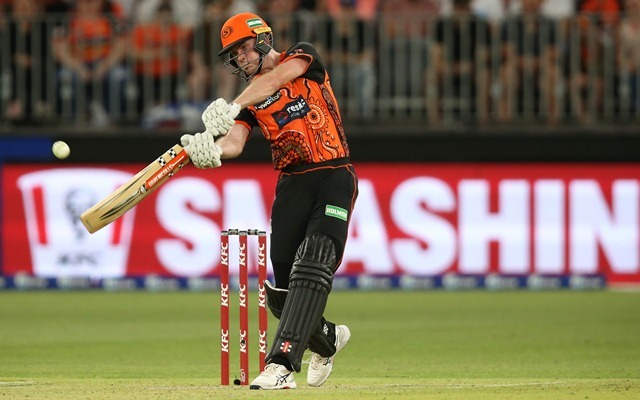 After the Stars decided to field first after winning the toss at the Perth Stadium, the Scorchers took the bowling by the scruff of its neck and racked up 182 for three. Josh Inglis and Michael Klinger put on 47 from 31 balls for the opening wicket. Jackson Bird nipped out Inglis to pick up the first Scorchers’ wicket. Klinger didn’t go hammer and tongs but ensured that the scoreboard keeps ticking with 30 from 31. Liam Plunkett got rid of the experienced campaigner in the 12th over. Nevertheless, skipper, Ashton Turner took the onus on himself and racked up 69 runs from 42 balls with seven fours and three hits over the ropes. He stitched together a useful stand of 87 with wicketkeeper Cameron Bancroft, who remained not out on 44 from 27 balls with a four and two sixes. Turner was dismissed by Adam Zampa. The run-chase didn’t start on a happy note for the Stars as Nathan Courter Nile accounted for the wickets of Ben Dunk and Nic Maddinson. Nevertheless, Marcus Stoinis and captain Maxwell didn’t die wondering and cobbled together a stand of 106 runs from 70 balls to keep their team in contention for a victory. While Maxwell racked up 61 from 40, Stoinis ended with 49 with seven scorching boundaries. Unfortunately, both perished in a space of three deliveries and the Stars’ hopes of winning took a massive dent. Nic Maddinson and Seb Gotch wielded the bat to score 16 each, but the required run rate kept escalating at an alarming rate. Fast bowler Matt Kelly impressed with three wickets, conceding only 31 runs. Nathan Courter Nile also showed nerves of steel to get three wickets in his four-over spell. @Ashtonturner_70 knocking the selection door quite heavily. He richly deserve to be in White ball Aussie team. @ShaneWarne @MichaelVaughan @MClarke23 @juniorwaugh349 What you guys say ? Thanks to 69 from 42 balls, Ashton Turner is the #BBL08 @dream11 Fantasy MVP of the Game.